One of the latest international teasers for Guardians of the Galaxy Vol. 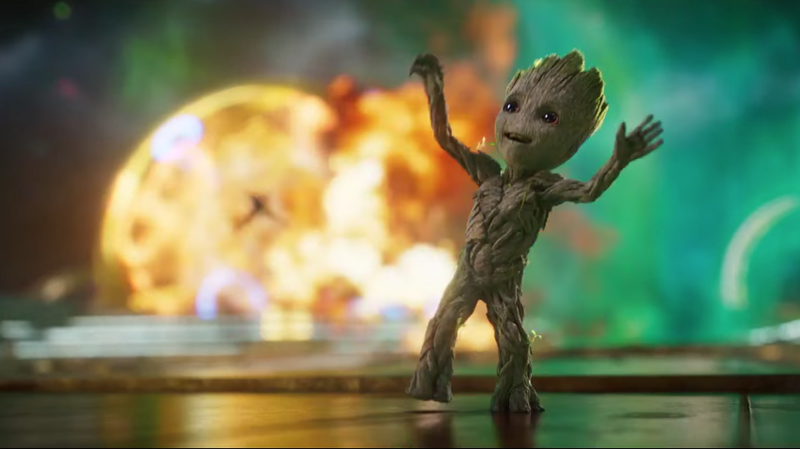 2 is out, and it’s got a few cute moments... including a brief shot of dancing Baby Groot. But holy hell, German Guardians sound amazing. I’m already regretting minoring in French. Every voice actor in this trailer is epic. Rocket is like a gruff old man. Star-Lord is whiny and pitiful. And Drax is yelling... in German! I don’t know how he does it, but he is. Yelling. In. German. I’ve always admired great voice acting for movie dubs, and I’ve got to say, I’m impressed at the talent Disney and Marvel has got for this one. Check out the latest teaser, courtesy of KinoCheck, and tons of other GotG Vol. 2 German trailers, while I figure out how to get a flight across the pond.